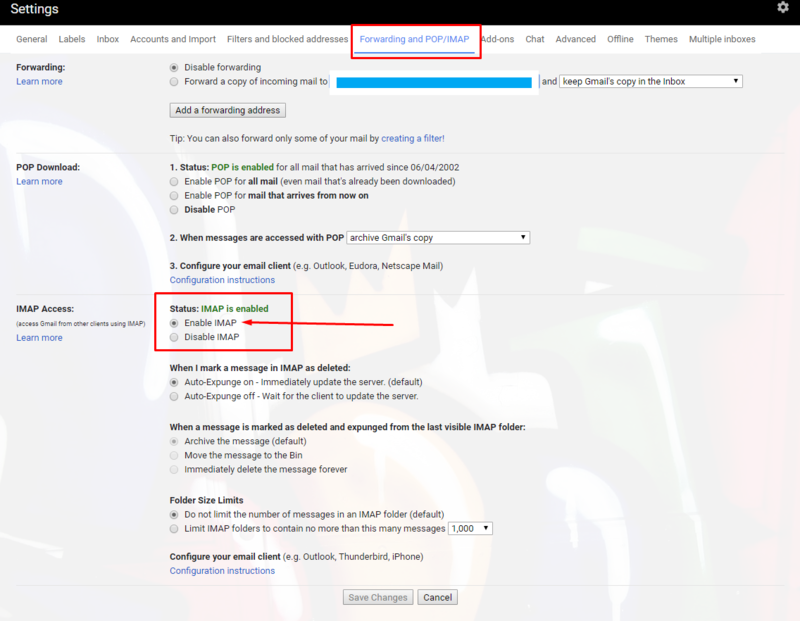 If the technical analysis functionality of ProfitTrailer is not enough, PT Feeder can be setup to react on strategies that you have setup in Trading View but you will need a paid for subscription after a certain number of alerts. Dependent on the latency of your email provider as a middleman. Intentional frequency of writing ProfitTrailer config files every 10 seconds as not to overload ProfitTrailer detecting config changes. Cannot validate buy. Buy happens when the alert is triggered. A couple of notes on the above. Intentionally, there is nothing on the sell strategy in these pros and cons. PT Feeder will revert back to your normal sell strategies after the period set in 'SignalLength' in your hostsettings, and this is minutes. This is because if you are using trading view to also alert your sell, then there is no need to use ProfitTrailer. You can fully use AutoView as ProfitTrailer is redunant in this scenario. Second comment is on delay. From speaking to people who use AutoView, the delay in a buy seems to be about 10 seconds. From testing PT Feeder and using Gmail as a email provider, the alert comes into Profit Trailer within 20 seconds. This is however dependent on the delay of you mail provider. Due to this, my personal recommendation is that if you use 1 min candles on trading view, then PT Feeder is not the best tool for you. For anything above, I feel the fact that you get trailing buys, outweighs any latency that you may encounter. Note that PT Feeder searches for unread mail as a new alert so a new email which isn't being checked is required. Setup your appsettings to change settings based on a signal. Below is an example. Setup your alerts on Trading View. 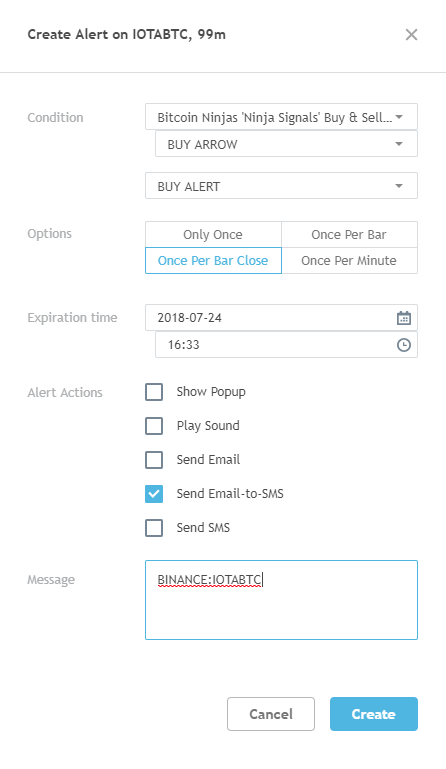 The alert message can be just the name of the pair in the format, EXCHANGE:QUOTEBASE, for example BINANCE:QTUMBTC and you can add the word SET and specify alert specific PT properties. The alerts are valid for how long you set SignalLength in your hostsettings.json (default is 15 mins) After this time, the setting for that coin will revert back to the DEFAULT settings or any other pair overrides you have. When using pair specific groupings like PriceTrendChangeGrouping, there is a condition behind the scenes that needs to be true for overrides and offsets to be applied. In this case, the price change over the 1st item in your MeasureTimes has to be lower than the trigger, MaxPriceTrendPercentageChange, for the condition to be true. But you can create your own custom conditions based on the properties the are available to you. Possible candle sizes are 1m, 5m, 30m, 1h or 1d. The more different candle sizes you use, the slower PT Feeder will be in starting up and will consume more memory. As an example of how this could be used, the below looks at difference between the short SMA and the long SMA of your base coin, BTC for example. If the short is less than the long, then we consider it a bear market. Within custom groupings, you can also change your settings based on the positions and exposure you have within ProfitTrailer. Lets say we wanted to create a grouping that reacted on the relative percentage change of a coin compared to its base coin. Firstly we create the grouping. It can be called anything as long as it ends with Grouping. We then need to add the condition element. The properties available need to be in square brackets and any operators need to be standard C# operators. A simple list can be found here under Arithmetic, Relational and Logical. We want to take the base coin change and subtract the price change of coin. If this value is less than the trigger, then we want to act. The trigger is created using [config.TriggerName]. The possiblities are endless. Send me a direct message on how you have used this and I will add in here including examples. Look at the difference between different time trends. Look at the difference between different volume trends. For common groups of config that are used in PT Feeder, a snippet can be created. This allows you not to repeat similar sections in your appsettings files, over and over again.